Do you know that there are natural therapies that can help you prepare for your IVF fertility journey? In this guide I will share with you suggestions to help you best prepare for your IVF. A note before we begin: Any of the supplements or herbs talked about in this guide should not be taken while you are on any IVF medications. This program should be completed before you begin your medications. Ideally, give yourself 90 days (3 months) to prepare with these supplements and the fertility diet before beginning your IVF medications or treatments. Why Prepare for Your IVF? IVF success rates vary depending on many different factors including age, cause of infertility and the clinic where you are having the procedure done. In 2015, the IVF success rate for live birth was on average around 40%, with numbers going up to almost 54% for women under 35, according to the Society for Assisted Reproductive Technology. There are many different options you can explore to help you increase your IVF success rates. Some therapies have results supported by studies while others are based on nutritional/anatomical knowledge and help by supporting the general health of the body and reproductive system. Some natural therapies like acupuncture and mind/body therapies have been shown to increase IVF success rates greatly. Below I have included the top natural options for increasing your IVF success rate naturally and how to get started. In order to prepare for your IVF procedure, you will need to plan and prepare ahead of time. A general IVF cycle takes around 6 weeks from the time you begin medications and ultrasounds to the transfer of the embryo(s), so plan accordingly. If you choose to use any herbs or supplements in preparation, it is ideal to use them for at least 3 months prior to beginning any part of your IVF cycle, including the medications at the beginning. Herbs and most supplements should not be used while you are on your IVF cycle as we do not know how they will interact with the medications. Please talk with your doctor if you have any questions about this. Another reason we suggest to take at least 3 months to prepare beforehand is because the cycle of the egg (ovum) is 90 days. This is the period of time during the egg’s journey when what you eat, drink, ingest, and breathe, your stress levels, and the health of your blood flow will all have an effect on the health of that egg. So what you eat today is impacting the egg you will ovulate or have “harvested” three months from now. So for best results prepare at least 90 days out. Cleansing is an important component of preparing for pregnancy. Fertility cleansing consists of supporting the liver’s natural ability to cleanse itself as well as supporting uterine health and circulation. This in turn supports hormonal health and encourages a healthy uterine environment. The second part of the program focuses on supporting egg health, eating nutritious food, taking supplements and preparing your body for pregnancy. The final part of the program contains therapies specific for helping you through IVF and the stress that may be experienced once you begin medications and procedures. All of these steps can be started at the same time and be done together. Fertility cleansing is one of the best ways to “prepare the soil” before becoming pregnant. Fertility cleansing supports liver health for proper hormone balance, healthy liver function and aids in cleansing the body of environmental toxins and pollutants. Fertility cleansing also helps to support uterine health by increasing circulation, aiding the uterus in its natural ability to clear out old menstrual blood and tonifying the uterine muscles. Fertility cleansing is based on your monthly cycle and generally lasts from 25-30 days. Massage is a natural therapy that can help you to prepare for your IVF procedure and pregnancy. While traditional massage is beneficial to reduce stress and increase circulation, Fertility Massage specifically helps to increase circulation to the reproductive system and supports a healthy ovarian-uterine environment. There are three options when it comes to fertility massage. You can book a massage with a general massage therapist, you could find a massage therapist who specializes in Fertility Massage or abdominal massage (such as a Mayan Abdominal Practitioner) or you can learn how to massage yourself with Self Fertility Massage techniques at home. Self Fertility Massage™ is a series of massage techniques that are used to help support reproductive health, the menstrual cycle, and your fertility. I created this natural fertility therapy to help women apply the fertility massage techniques for themselves. Note: Massage should only be done before beginning your IVF medications, not during. As you begin your IVF cycle with medications, you should discontinue massage because you most likely will be very sensitive in the ovarian area as your follicles/eggs mature and ovaries become larger. Also, do not do massage after transfer of the embryos or during pregnancy. The second part of this program focuses on nutrition and the nutrients you are adding to your diet. We just covered cleansing and increasing circulation to the reproductive system; this is one aspect of “preparing the soil”. Now is the time to add good things to the soil that will help the seed to thrive and grow. You can do this for yourself through diet, supplements and superfoods. Nutrition is the foundation of healthy fertility and a healthy pregnancy. Nutrition can have a direct impact on the future development and health of your child. This is a big deal and such a great opportunity for you to prepare ahead of time. So, what exactly is a fertility diet? A natural fertility diet is a way of eating that is supporting your body in its reproductive efforts. It includes foods which are dense in specific nutrients needed for hormonal function, production and balance, fetal development, egg health, sperm health, blood health, and much more. It is a diet that is designed to help your body to balance and support your fertility, building up nutrients stores and providing all the building blocks for a healthy child. It is also a diet that is focused on giving you and your future child the best start in life. Provides antioxidants, vitamins, and minerals, which help to protect egg and sperm health from damage caused by free-radicals. Supports the body towards normal hormonal balance by providing the fats needed for hormone production and function. Provides the body with an abundance of vitamins, minerals, antioxidants, and other nutrients needed for optimal health. Helps to provide important nutrients for early pregnancy. Make sure you are eating a fertility diet for at least 2-3 months before your IVF as well as talking with your doctor about any preconception nutrients they would like you to take, such as folic acid or a prenatal vitamin. Making sure your body has all of the nutrients necessary for early pregnancy is much easier when you are taking a multivitamin. My favorite is the 100% whole food Baby and Me from Mega Food. Synthetic multivitamins won’t have the same effect or absorption by the body. There are certain nutrients such as Folate that are needed by the fetus even before pregnancy is detectable. The first weeks of pregnancy are a critical time of development. Prepare for your pregnancy by taking a prenatal multivitamin. Antioxidants are one of the most important components to having healthy fertility that every woman and man needs to focus on. Antioxidants help to protect the egg and sperm from free radical damage. Free radicals are able to damage cellular health and the DNA within the cell. The ovum (egg) is one of the longest living cells in your body; as the years pass, your eggs become exposed and vulnerable to free radicals on a daily basis. This adds up! I’ve formulated FertilicaTM Choice Antioxidants to contain the complete network of important antioxidants needed to support healthy fertility in women.This blend is great for both men and women and should be a part of everyone’s health program, especially to help improve egg health prior to IVF. Researchers think that CoQ10 supplementation may help cells function more normally and divide more normally by restoring energy to the mitochondria in each cell. This is very important when considering conception and how the first stages of life are dependent on proper cell division. With IVF, doctors rely on healthy cell divisions to rate embryo quality, so they know which embryo to transfer. There are two forms of CoQ10, ubiquinone and Ubiquinol. CoQ10 starts off as ubiquinone and then is converted within the cell to the more powerful ubiquinol. As a woman ages, her body’s ability to convert ubiquinone to ubiquinol declines. Almost all CoQ10 supplements available are in the form of ubiquinone. Ubiquinol is different in that it is the most biologically active form of coenzyme Q10 and does not need to be converted by the body. Ubiquinol is eight times more potent than ubiquinone. For women over the age of 35, CoQ10 Ubiquinol supplementation alongside an antioxidant blend may greatly help to improve egg health over a few months’ time. Researchers found that L-arginine, which is an amino acid can increase ovarian response, endometrial receptivity, and pregnancy rates in IVF patients who were previously poor responders. In the study, patients were given large doses (16 grams) of L-arginine daily leading up to and throughout the IVF cycle. (Published in Human Reproduction 1999). This is one study that shows promise for the use of L-arginine to help support IVF, but it is currently the only study. Discuss with your RE if this is a good option for you. One aspect of IVF that weighs heavy on a woman’s mind is implantation. Soon you will have a healthy embryo (or more) for transfer, now all that needs to take place for pregnancy to occur is implantation. A calm uterus is going to be more receptive to implantation. Fertility superfoods are rich in nutrients and can be taken daily as food. One of my favorite ways to take fertility superfoods is to put them all in a fertility smoothie. Two of the most popular fertility superfoods are maca and royal jelly. Maca is an incredible fertility superfood. It helps to support hormone balance yet it does not contain any hormones itself. Maca is able to do this by nourishing and balancing the endocrine system. This is essential in preparing for IVF because healthy hormonal balance contributes to healthier eggs. You will want to use maca for a couple of months before you begin your IVF medications and discontinue as soon as your medication cycles begin. Royal jelly and bee propolis are both super foods which may help to support egg quality. Royal jelly is the food that only the queen bee eats. The only difference between a queen bee and a regular worker bee is that the queen is eating royal jelly exclusively. She was an ordinary bee and then she was chosen and fed royal jelly and became the queen bee who lays up to 2000 eggs a day. It should be taken for at least two months before IVF procedures begin and discontinued once your medication is started. I am sure I don’t have to tell you that preparing and going through IVF may be a stressful experience at times, but it does not have to be a roller coaster ride. It is important to nurture and take care of yourself when preparing and going through your IVF journey. This can be done by creating a stress support system for yourself by using tools such as visualization, acupuncture, meditation or hypnosis. Not only will it help your experience be a more enjoyable one, it may also help to increase your chances for IVF success as some of the therapies mentioned below have been shown in studies to increase the success rates of IVF. Can stress decrease my IVF success? Data taken from 14 studies on IVF and stress involving 3,583 infertile women showed that there was no difference in IVF success rates of those who considered themselves stressed than those who stated they did not feel a high level of stress. This may seem surprising but it does make some sense since IVF cycles use very controlled hormonal levels for their success. The strong hormonal medications used for IVF may render stress hormones less potent on fertility since the entire hormonal cycle is being controlled. While this is reassuring (no one wants to experience additional stress from being stressed) you should still consider creating a stress support system for yourself so your experience is a supported one. Studies have also shown Mind/Body therapies to increase IVF success rates greatly! This study shows a dramatic increase in IVF success for those who completed only 50% or more of their mind/body program. Imagine the success rate if they completed the entire program. There are many different programs that can help you tap into the mind/body connection while preparing and during your IVF cycle. Below I have mentioned the ones I have found to be the best. The Circle+Bloom IVF program consists of visualizations tailored to reduce stress and potentially increase IVF success. The program consists of 18 sessions (12-20 minutes long) which correspond to the special requirements of the medicated cycle and include special attention to the synthetic hormones, timing and procedures done during an IVF cycle. The Fertile Mind program uses mind/body hypnosis techniques to help lead the body and mind to a relaxed and prepared state for IVF. This program consists of 4 hypnosis tracks that help your mind and body through each step of the IVF process – from preparation, egg harvesting, embryo transfer and the two-week wait. It also helps you to let go of any limiting beliefs, leaving you feeling more relaxed and in control of life. Meditation is a wonderful way to help calm the mind and balance the body. There are many types of meditation one can practice, all of them being beneficial. Meditation can be used alone or in conjunction with any of the mentioned therapies. Meditation helps to clear the mind of excess thoughts and chatter. Once you have a clear mind, you feel peace and surrender to life’s current circumstances, helping to make your IVF journey enjoyable and peaceful. The theory behind EFT (Emotional Freedom Technique) is that all negative emotions are caused by a disruption in the body’s energy system. Therefore, by balancing the energy via the same system as used in acupuncture (the meridians), negative emotions are resolved which, in turn, can mean a change is brought about in the physiological condition of a person. The release of emotions such as fear, worry and sadness, gives way to rational and logical thinking. It can also generate feelings of great relief and lightness. One of the reasons I really like EFT is that it can be used anywhere at any time. All that you need is your hands and knowledge of where the points are located for tapping. Generally, when you begin your IVF journey you will be put in touch with a counselor who specializes in counseling prior and during IVF. Take advantage of this opportunity and go for it. Speaking to a counselor could help fill that gap of support that sometimes friends and family are not able to fill or understand. Acupuncture is an effective therapy that you can use in preparation, during, and after your IVF cycle. Acupuncture uses tiny, solid needles to stimulate different points in your body that help to support various systems. For fertility, acupuncture can be used to not only help with stress, but it can help support the body to overcome underlying imbalances that may keep a couple from conceiving. Acupuncture also supports and encourages egg health, healthy reproductive circulation, a healthy uterine lining, hormonal balance, and much more. When using acupuncture in conjunction with IVF, you will want to begin seeing your acupuncturist well before your IVF cycle begins, ideally 3 months before. Find an acupuncturist that specializes in infertility since they will have a deep understanding of what IVF is, can read your hormone blood tests for an understanding of your situation and can support you during critical times of your IVF such as egg retrieval, embryo transfer, and directly post transfer. In one study 114 women with similar fertility profiles undergoing IVF were divided into two groups. 53 received acupuncture and 61 did not. The acupuncture group experienced no ectopic pregnancy (non-acupuncture group had 9%), fewer miscarriages (acupuncture group had 8%, non-acupuncture group 20%), and 51% pregnancy rate for the acupuncture group versus 36% pregnancy rate in the non-acupuncture group. Two studies have shown an increase of IVF success when done around the time of embryo transfer. The first study published in Fertility and Sterility showed that live birth rates doubled for those who used electro-acupuncture (also known as TEAS – transcutaneous electrical acupoint stimulation). The non-acupuncture group had 21% live birth rate and the acupuncture groups live birth rate was 42%. Group 3: Control group, not receiving any acupuncture. Acupuncture on the day of embryo transfer significantly improves the reproductive outcome of IVF compared with no acupuncture. Repeating acupuncture two days past transfer provided no additional beneficial effect. To increase your chances even more, make sure to seek out your acupuncturist well before your procedure so they are “on call” for after the procedure; timing is crucial for this one. I hope you have some ideas to help you create your own IVF preparation plan. Just remember that this time is such a great opportunity for you to prepare for your coming pregnancy. 1. Make a 90-day (3 month) preparation plan – this would be for the 3 months prior to beginning medications for your IVF. 2. Prepare through cleansing and increase circulation with massage. 3. Eat a healthy fertility diet. 4. Use supplements such as a multivitamin, antioxidants, EFA & superfoods to help support egg health. 5. Create a stress support system with a mind/body program. 6. Get acupuncture in preparation and around the time of embryo transfer. IVF is a profound procedure that is a blessing to have available as an option. Move forward feeling encouraged, empowered, and nourished on your journey. Muller V. (1997) Maca in Hormone Replacement Therapy. Whole World Botanicals Report. 1­7. Walker M. (1998) Effect of Peruvian Maca on Hormonal Functions. Townsend Letter for Doctors and Patients; 11:18. Bowden, J. (2017). The 150 healthiest foods on earth: The surprising, unbiased truth about what you should eat and why. Beverly, MA: Fair Winds Press. I started my ivf procedure last may 2018 where I had my egg retrieval procedure, and stopped waiting to save more money for my embryo transfer. I have my frozen embryos at the lab, I was wondering what can I do to have a successful pregnancy. in fact im so worried as I paid all I have out of pocket for this and if it doesn’t work, I cant afford starting another cycle, should I start on maca? or what could I do to increase my chances as im 37 years old with no previous pregnancy. What an exciting time! I hope you can hold on to hope and let go of worry! We offer this guide: 5 Steps to Preparing for a Frozen Embryo Transfer that I think you will find helpful. And I think perhaps the Circle + Bloom Frozen Embryo Transfer Mind-Body Program may be helpful. My very best! I am hopeful for you! I am sorry to hear this. If both fallopian tubes are damaged in such a way that an egg and sperm aren’t able to meet each other, then natural conception isn’t likely to be possible. IVF should be however. Your doctor can help you know this. When you say Utericalm is useful leading up to transfer could you be more specific? I’m currently in stimulation phase and will be later having a FET following PGS. At what point and for how long do you think I would get the benefit of utericalm? Thanks! In general, we suggest considering UteriCalm for three months prior to beginning IVF and if your healthcare provider will approve, it can be continued during and into the first trimester of pregnancy. It is best to check with your doctor before beginning any new herbal supplement. what medicine/vitamins I should take before IVF ? Your doctor will discuss with you the medicine you will need to take as you begin the IVF process, but if you wish to prepare naturally before hand, scroll back up in this very guide and consider learning more about all we share under the heading Create a Plan Ahead of Time. Each step can be followed if the items in them resonate with you. Greatly appreciate your covering so many of the options on treating female infertility non-surgically. A recent study of 1392 infertile women shows that a manual physical therapy (Clear Passage Approach) opened totally blocked fallopian tubes in 61% of patients, equaled the results of surgery for endo-related infertility, and improved IVF success rates significantly. We actually do shed light on Clear Passages and the Wurn technique in our guide Natural Therapies for Blocked Fallopian Tubes. We value your work as well and thank you for reaching out! please, I am one month before starting my third ivf cycle. Which herbs or supplements are the best choise to take: I have been taking green barley juice and spirulina up to now and I was thinking about adding maca powder, reishi and maybe marine phytoplankton but I am not sure if it is worth just one month ahead. And I would like to know when exactly it is the best time to stop all these supplements and superfoods? Is it enough just one day before medication procedure? Maca, Reishi and marine phytoplankton are all nutrient-dense superfoods that do not necessarily need to be taken for a specific amount of time to share their benefits. Many herbs, particularly those that support the body in balancing hormones, do need time to be as effective as they can be (more than a month). Focus on eating as healthy and whole food of a diet as you can, consider fertility massage or acupuncture, along with stress management or something like Circle + Bloom’s IVF and IUI Mind-Body Program. In general any herbs should be stopped within 2 weeks of beginning any IVF medication(s). You will want to be sure your doctor knows all that you are taking as he/she may support continued use of things like Spirulina, a whole food prenatal multivitamin and omega-3 supplement, etc. This is great if you have 3 months to prepare, but what if I have 1? To do all that you can to improve your health in the time you have is great! Steps 1 (minus cleansing), 2 and 3 still apply and could be followed. Do be sure your RE is aware of all you are taking and discontinue herbs and supplements like L-Arginine within 2 weeks of beginning any meditation. Diet is key and using mind-body therapies and a natural therapy like Self Fertility Massage are great places to start, and hopefully not overwhelming. Our area of expertise is supporting women ages 18-50. 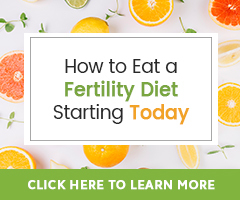 While this tips in this guide could be considered, it perhaps will be best to work one on one with a practitioner who specializes in fertility health for women over 50, or who can joint your care team with a natural perspective. I think a great tool to consider too is the Circle + Bloom IVF and IUI Mind-Body Program. Your site recommends starting to “prep the soil” 90 days before an IVF round. Would it be bad to start these habits and supplements 6 months to a year a head? We are still saving for IVF but I want to start doing everything possible to get ready so that we have the best chances! thanks! Absolutely not! Starting well in advance can help the changes you make become habit, become your lifestyle and should benefit your overall health. It also allows you to make changes slowly so they aren’t stressful (unless you’re an all or nothing kind of person ;-)). I had the same thing happen. Bad first round. Even asked the dr about changing my diet and she said, “no you are healthy.” Been researching more and I was not healthy. Do you mind sharing where you got your information on fertility diets and juicing? I’d really appreciate it. We are very glad this article has been helpful! The Fertility Diet was created and benefits of juicing for fertility found out of Natural Fertility Info. founder Hethir Rodriguez’s research when creating this site. I just came across your website. Great info. I’m actually a month away from starting IVF. I’m about 3 weeks from CD1 to start the whole process. Would you still recommend doing the cleanse? I am so glad the information we share has been helpful! It would depend on if you have time to complete the Fertility Cleanse entirely before beginning any part of the IVF process. The cleanse is designed to last 28 days, so you may not have time. A Fertility Diet, fertility massage, Castor Oil Packs, Acupuncture, etc. may all be useful and helpful in the three weeks to come however. Specific reasons will affect the success of IVF. They include advanced age, poor or no quality eggs, severe abdominal abnormalities such fibroids, cancer, and other past surgical procedures. In order to improve you chances for success you must first receive the right medication, and help from the right professionals. Getting to the best IVF institutions is one of such ideal solutions. In addition to that you can choose gestational surrogacy, egg donation, embryo donation. What a gift of hope you are giving to so many struggling with “impossible” fertility issues! I’m a first time visitor and am quite impressed with your site’s wealth of information. Keep up the great work! One must understand an IVF properly! Obey every possible supporting point that overcomes the concerns all the way. Therapeutic help is a good way apart. Pretty helpful tips provided herein. Appreciate! My second IVF cycle failed. In both IVF cycles I’ve notice that my progesterone level was so low. The 1st attempt I began bleeding straight on beta-day. In the 2nd attempt, which is the thawing cycle, I lost my pregnancy at 11 weeks because of blighted ovum. Really need suggestions about what I should do for preparing for the next IVF cycle? This very article shares information about how to consider creating a natural therapy plan to increase IVF success rates. If you are still unsure of where to begin, or how to proceed, please consider working one on one with our fertility herbalist who can lay out an entire natural fertility program for you based on your specific fertility health needs. This if offered through a Fertility Consultation. I will be 43 this June. Though I’ve never tried to be pregnant before and have no known fertility issues (Myomectomy to remove fibroids, but no scar tissue in uterus), I’m going straight to IVF due to my age. I went through a first IVF cycle in March/April and according to my specialist I responded really well and had 9 follicles/2 embryoes, but they failed to implant. We are going to try again in my June/July cycle. This time I’m thinking about doing a fertility cleanse & Self Fertility Massage. I’m taking Baby & Me, CoQ10, Maca & Evening Primrose Oil + juicing, doing yoga a minimum of 4x/week and juicing which I started March 8. These particular supplements I started April 19. When can I start the Fertility Cleanse & do you have other suggestions? Today is CD17. Thank you! The Fertility Cleanse takes one month or menstrual cycle to complete and is best completed entirely prior to beginning an IVF cycle. It is not the be used with any medications in preparation for IVF or during. It is also known to be most effective when started the day after menstruation ends and continued through the remainder of the cycle. Given what you have shared, it may be too late to do a Fertility Cleanse. I just completed my Fertility Cleanse and am now starting the FallopianWise Kit. I’d like to ask if I can combine the FallopianWise Kit with the OvaWise kit as I have both egg and tubal issues. The FallopianWise Kit and OvaWise Kit can be combined. I hope that the Fertility Cleanse went well! What about DIM for estrogen dominant ladies? Do they have to stop it just before the IVF medication procedure? We have to suggest DIM be stopped prior to beginning IVF medications unless being advised to do differently by your healthcare provider. Can you list or provide me with the references for the IVF acupuncture studies please. Any suggestions with regards to a frozen embryo transfer? We do have information for you to consider about 5 Steps to Preparing for a Frozen Embryo Transfer. Hi there, thanks for your awesome website. I have been preparing for IVF and used a lot of your advice about nutrition. I have been drinking a fertility smoothie (berries, almond milk, Maca, Wheatgrass, Spirulina, Royal Jelly with Pollen, Flaxseed with Q10) for a few months now, and recently started a good quality fertility supplement from the Marilyn Glenville clinic, just for the months prior to treatment. My question is when do you stop taking the Maca and Royal Jelly/Propolis, when your down regulation starts or your stimming? And is it ok to keep taking Wheatgrass and Spirulina in the smoothie. I have also been taking Chaste Berry tincture but should I also stop this? Thank you for your kind words! We are so happy to have helped you on this journey. We do not advise taking Maca, Chaste Tree berry (Vitex) or Royal Jelly with Bee Pollen at all during the IVF procedure. It is best to discontinue their use before starting any fertility medications you may be required to take. To my knowledge it is okay to continue to take Spirulina and wheatgrass, but to be honest this is best asked of your healthcare provider as it is very important you let your doctor know all that you are taking or wish to take during this procedure. I just wanted to know your age and wanted to ask if your cycle worked for you. I hope it did. I am 40 years old and now on my 2nd cycle of IVF. In my first round all of the embryos were abnormal and this cycle I have eaten well and I am hopeful about this cycle, but worried at the same time. Please let me know if you can if this cycle worked for you. Thank you! All our best to you and remain hopeful! I wanted you to know that Sarah may not see your comment. She is not directly emailed.